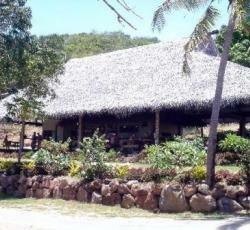 Volivoli Beach is located near to nature on the northern most point of Viti Levu, Fiji. All the elements of beach side living come together at Volivoli, with a excellent blend of relaxation, water sports, nightlife, cultural activities and world-class diving. Great diving, excellent staff, really warm and friendly and helpful along with the hotel itself is really clean and nice. * Volivoli Beach rated 4.67 out of 5 based on 3 customer reviews. Hostel reviews with a star rating are sourced from HostelBookers. If you find Volivoli Beach with the same booking conditions at a lower rate somewhere else on the internet after you have booked, we will refund you the total difference.